JP Howard and Sheila Slaughter founded the series during National Poetry Month in April 2011. Sheila moved on to pursue other interests after the first year and JP Howard has been curating WWBPS solo from 2012 forward. The series focuses primarily on poetry in our monthly workshops, though our open mic portion encourages all genres to participate. We sometimes have writers who are musicians who sing during our open mic, which is a real treat. Salons are held monthly. Each month there is a visiting featured poet or writer who facilitates an interactive writing workshop, with a featured reading and there is a Q & A session with our feature. We close each Salon with a multi-genre open mic, open to all participants. The Salons are always potluck, so folks bring great food and drink to share with a growing community of writers. The Salon is open to everyone. Salon members are also encouraged to support our features and buy chapbooks, books or CD’s they bring with them. The Salons are free of charge, though donations are encouraged to supplement honoraria given to featured poets monthly. WWBPS is a traveling Salon series. Each month we move to a new location, either in homes of generous Salon members and/or donated community spaces, such as Brooklyn Workshop Gallery, a community arts space which hosts WWBPS at least three to four times annually. I generally rent out a large venue for WWBPS each year to celebrate our Anniversary. I was awarded a Brooklyn Arts Council (BAC) Community Arts Fund Grant in 2015 and 2014 for the Brooklyn-based portion of the series, which allows me to offer honoraria to our features, to rent space for our anniversary Salons and to stock our traveling Salon library with poetry books. The Salon is held monthly year-round. Annual summer BBQ Salons are held in a lovely garden in Sugar Hill, Harlem, my childhood neighborhood. Thanks to BAC funding, most of our other Salons occur in Brooklyn. This past November, Robin Coste Lewis, author of Voyage of the Sable Venus (Knopf, 2015) won the National Book Award just days after featuring for WWBPS. We were excited to celebrate Robin! Our first Salon of 2016 features writer and essayist Vanessa Mártir and is scheduled for January 23rd from 1:00pm to 5:30pm in Downtown Brooklyn. Info about this Salon: Emails with address details are sent to those who subscribe to the WWBPS mailing list or to those who join monthly Facebook events. RSVP is required since there are limited spaces. I often create a wait-list each month to keep within capacity. The Series has been active since April 2011 and will celebrate our Five Year Anniversary in April 2016! Salon in their Nov/Dec 2015 issue. My essay is on the last page of the print issue and online here. I send out a monthly e-newsletter blast that includes invites to the Salons. Interested writers can subscribe here. The Salon blog does take submissions of poetry, though most of my energy right now goes into hosting the monthly Salons and collaborating with community. A number of our Salon features travel from out-of-state, so there’s a lot of coordination and time commitment that goes into nurturing WWBPS. The primary goal of WWBPS was to create a safe and nurturing space for primarily women writers to come together, produce new work, share good food and exchange ideas (the Salon is open to everyone, however we are 95% women, with a large LGBT POC population). The Salon has expanded tremendously and I am constantly thinking about ways to nurture and engage our growing community of writers. The Salon has recently been invited by Gabrielle Calvocoressi, the Senior Poetry Editor of the Los Angeles Review of Books (LARB) to be one of the featured projects on Voluble, a new LARB online channel that will launch in the near future and celebrate curators, artists and programs from around the country with unique approaches to poetry off the page. It’s definitely an exciting opportunity to bring our local Salon into the homes of a lot more people! Four Salon poets will feature at Bryant Park’s Word for Word Poetry Series in July 2016, another wonderful opportunity for the Salon. The Salon Series is unique because of our monthly format. We provide free monthly writing workshops, along with a featured poet reading, a lively Q&A session and an open mic, open to all genres. All this happens in an intimate and nurturing setting with lots of good food and drink. I believe the Salon nourishes writers on multiple levels. 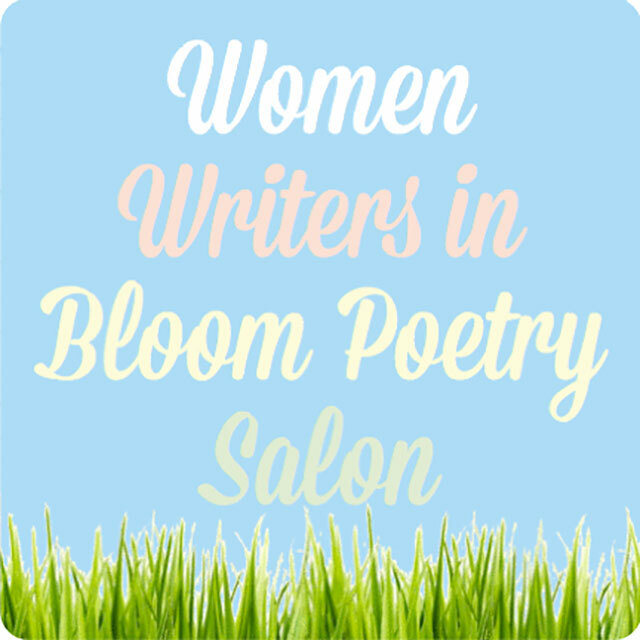 The next Women Writers in Bloom Poetry Salon is scheduled for Saturday, January 23, 2015 at 1pm in downtown Brooklyn. RSVP is required as there are limited spaces.